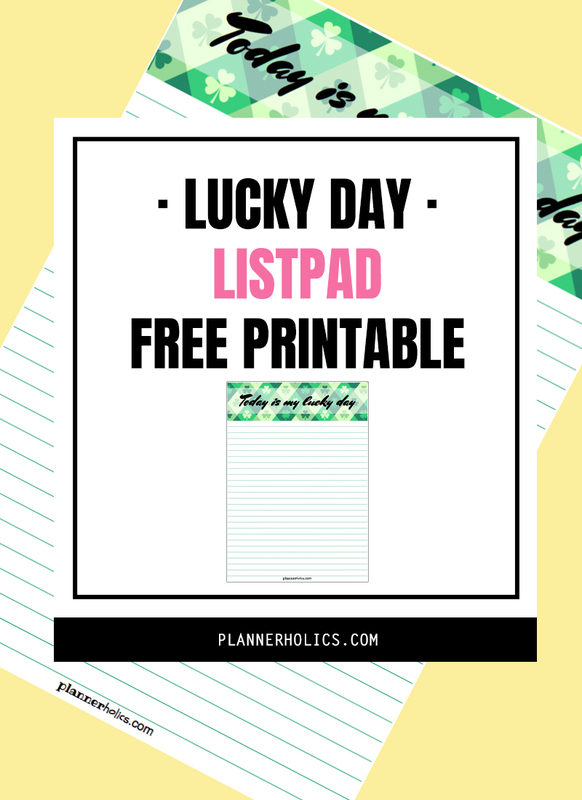 This week is St. Patrick´s Day week so I thought it would be perfect to leave you a new freebie to use in the hopes that it will bring you good luck and let you accomplish all your tasks and to-do´s. 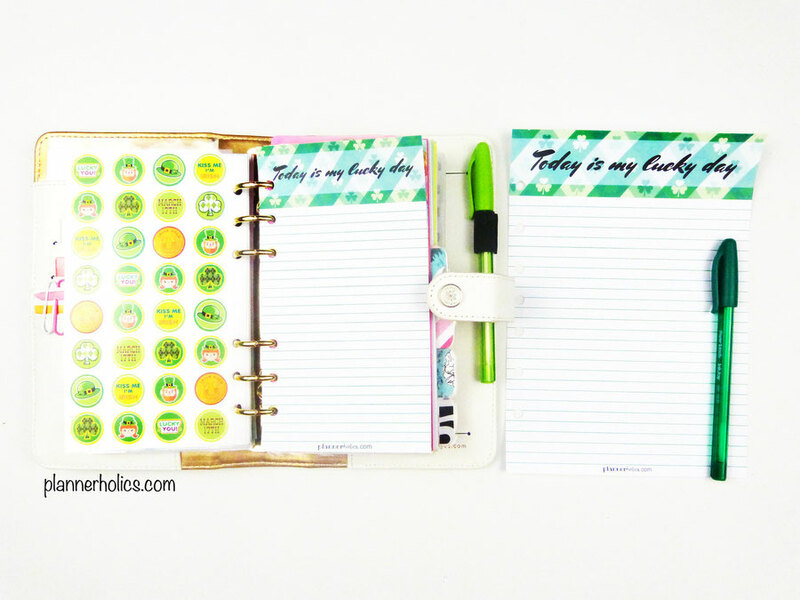 This lovely design is sized for your personal and A5 planners but you can also use it as a notepad to make lists. I would love it if you would tag me on Instagram @plannerholics so I can see how these inserts look in your planners or in your office area. You can also use the hashtag #plannerholicsinserts to share your photos. P.S. Can you find the four-leaf clover?